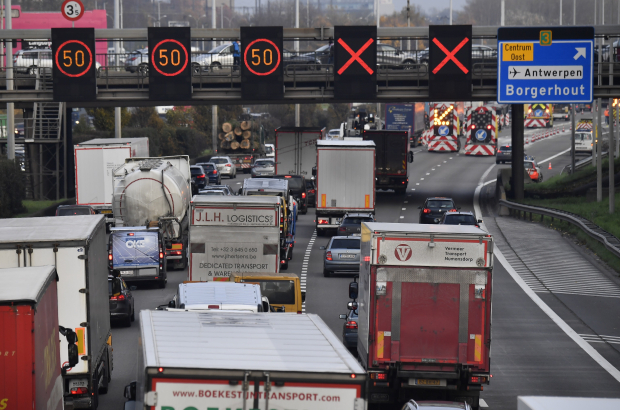 More must be done to get people out of their cars and on to other forms of transport, according to Flemish chamber of commerce Voka. “It’s high time an effort was made on good-quality alternatives to the car,” said Paul Kumpen, Voka’s president, this week. The survey, commissioned by Voka, asked 1,000 people living in Flanders about the way they travel and their attitudes to the options available. The results show that the Flemish are addicted to their cars – but not in love with them. Of the 800 car owners in the survey, 56% said that taking to the road was unpleasant, while 38% found it positively stressful. These feelings are not serious enough to outweigh the benefits, however, with 84% saying that the car was essential for their daily mobility. For the daily commute, 46% of those surveyed use a private car and 14% a company car. Meanwhile barely one in 20 respondents make use of public transport on a daily basis, with 6% taking the train and 5% using buses or trams. The disadvantages of public transport included its accessibility, its cost and its punctuality. Getting people to change will not be easy. Those with company cars are among the hardest to shift, with 80% saying they would not be prepared to exchange them. Around 20% said they would consider the change if they got a salary boost, but it would take €660 net to seal the deal. Options to work more flexibly would also help soften the blow. Voka is a fan of road fee proposals that would shift the tax burden onto people who drive frequently, during rush hour and with more polluting vehicles. Costs would be cut for those who drive little, outside the peak hours and with cleaner cars. The survey showed that half of those questioned support such a move, but that one-third are not sufficiently informed on the concept. “So it’s time to communicate better as a government and to work on implementation,” Kumpen concluded. All the ministers and all government officials should do this. In many places there is no public transport. If you buy furniture then how do you get this on the public transport? Not easy. All one has to do is to look at the picture above to see that the actual problem is TRUCKS. So, please stop trying to blame ordinary struggling citizens for the failure of the traffic system here to handle to load. Trucks need to be regulated, some trucks should only be allowed to travel through Brussels at night or on the weekends. Also... Employers in Belgium provide cars and others benefits in lieu of salary to avoid paying approx 25-35% payroll taxes, if the government is unhappy about this all they have to do is to lower taxes.